One of the hardest tasks in life is getting a house ready for sale. Not only do you have to contend with the peaks and troughs of the market, you should look around at the home you’ve lived in and decide to make changes based on upping the value. It can be difficult to look around at a place you’ve lived happily for a length of time and choose ways to make it look different. However, it’s important to remember that you aren’t going to be there anymore, that you are moving on and so must the house! It’s the right time now to invest in your home, with house prices increasing. Making the most of the value of your home and increasing that value is important if you want a good sale. You may upgrade your house and decide to stay a little longer, but that investment you make now will set up your home for future purpose. With these tips, you can look ahead and aim to grow the value of your home. Make space where you can. Knocking out walls or taking doors out of rooms creates a flow through the house. If you have wooden floors in the hall, but carpets in the lounge it’s time to make a change. Take all the doors of the rooms on the bottom floor and have the same flooring throughout. This then creates the illusion of continuity through the home. To visually expand rooms, column radiators can do wonders as you open the wall space for more than just home to the heating. Let the sun shine in. If you have the wall space to do it, expand your windows. Letting light flood into the house naturally means that you don’t have to walk around installing spotlights and extra electricals. Invest in the home, sure, but spend where you should spend instead of frivolously. Go back to basics where you can. If you need to replumb the bathroom sink or the kitchen, do it. If you need to up the water pressure in the bathroom for the shower to run properly, get it done now so that when prospective buyers come and look around, they can see how amazing the showers are in the house. Energise the house. The time to install solar panelling is now. 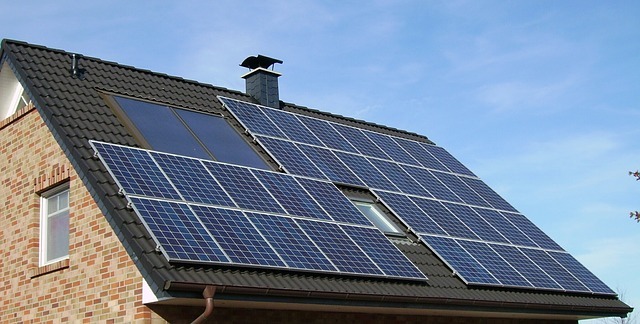 Your home will be worth so much more with solar energy flowing through and prospective buyers can look upon that to have an eco-friendly home, which is worth its weight in gold in the current market. Never underestimate curb appeal. Buyers must stop and look at the front of your house. There are so many ways you can up the curb appeal of your home and some of the best tips are right here on this website. Always make the outside look pretty; no one wants to buy something that looks dilapidated with peeling paint. Upping the value of your home is a project worth investing in if you want to make a great sale when the time comes. Take the time and make the changes now, and reap the rewards later.